I know everyone has probably made these quick cake in a mug recipes, but I thought amongst all the expensive Christmas presents they will probably receive from Santa I would throw in a little after-Christmas activity for my grandchildren. Something easy they can make with just a little help from Mum and Dad. 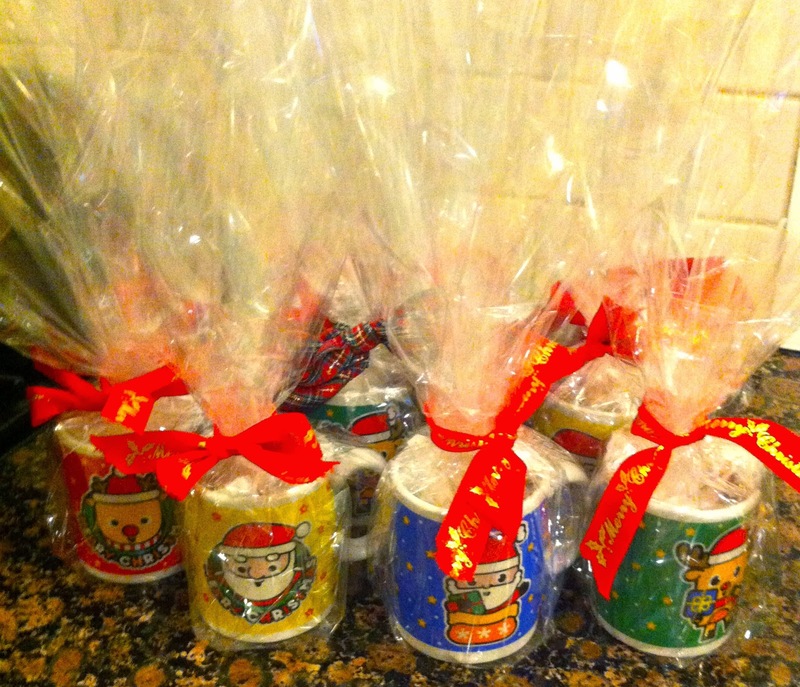 I put together the dry ingredients and wrapped them in greaseproof paper and packed them into the mugs. The wet to be provided at their own home. These little Christmas mugs are only a half cup size so perfect for little tummies. My cake rose over the top of the mug in 95 seconds. Allow to cool a little, spoon out the centre and pour in cream or custard or tip out and have with ice-cream. 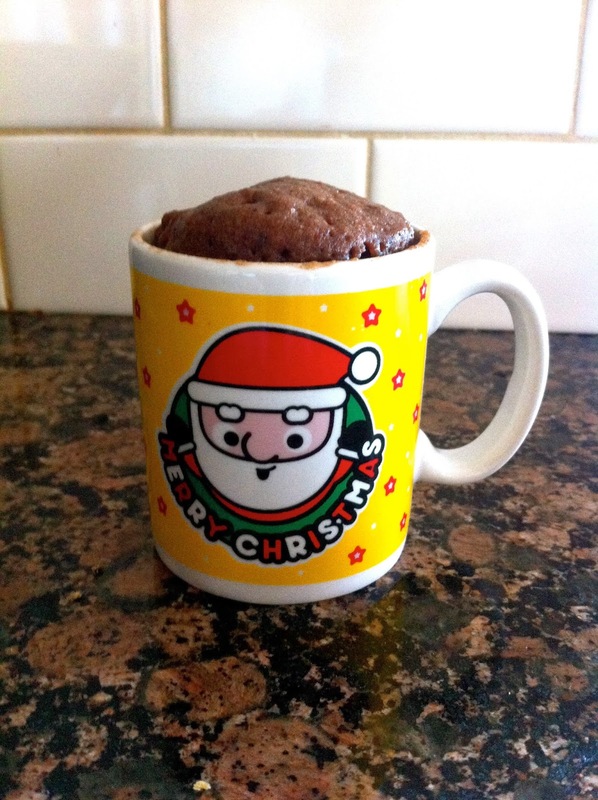 Very cute gift idea - homemade cake, and you get to keep the mug! Wishing you a Merry Christmas and a very happy 2014. I love making these type of microwave cakes and I like the idea of making them into presents too. I bet your gift mugs were a huge hit with all the grandchildren. I have resisted making these little cakes myself as I and my waistline are really better off if sweet treats aren't quite so handy, if you know what I mean!